To my knowledge hadn't been done in the UK, and we had seen quite a few in the US, so we wanted to introduce it over here, and as we already had a successful stationery line, it made sense to develop the idea. 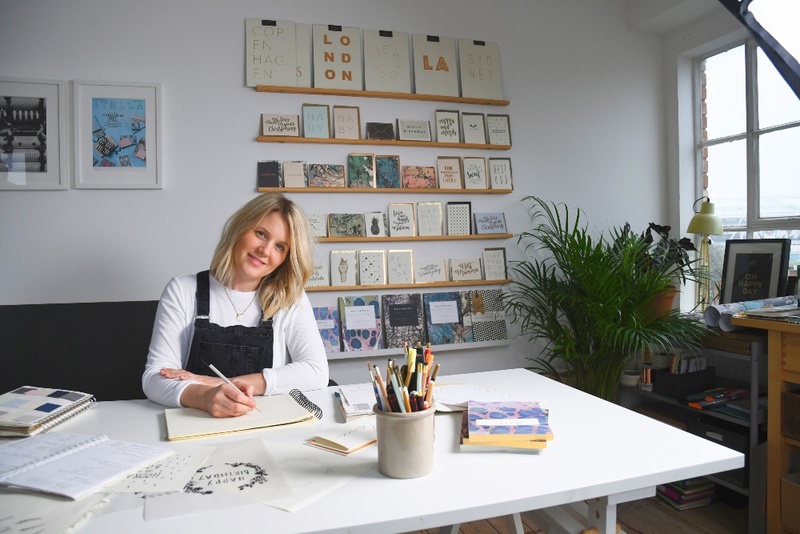 We brainstormed various things associated with stationery delivery and wanted something simple - settling with POST by Katie Leamon. 'SELF-LOVE' themed box. It centred on things associated with your well-being and featured feel-good products. We also included some extra letter writing paper and an envelope to send a letter to your future self. It's a sideline to our primary business, but every month a few of us contribute to the curation, and then our production team make them up, so maybe 3 of us in total. I have tried coffee, cake and beer ones before, so I guess food and drink seem to be the common theme with me! Emma Watson would be amazing! A golden ticket.... they would be airline tickets for random city breaks for our customers. It's super easy to use and has a huge variety of subscription options. Get a monthly dose of luxury stationery and paper goods subscribing to POST. Beautifully hand-selected by Katie Leamon and delivered directly to your door.